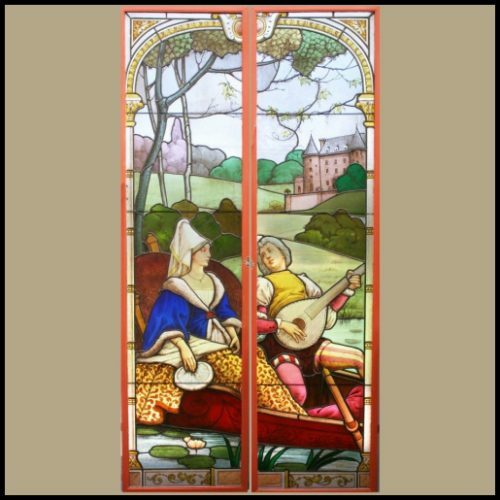 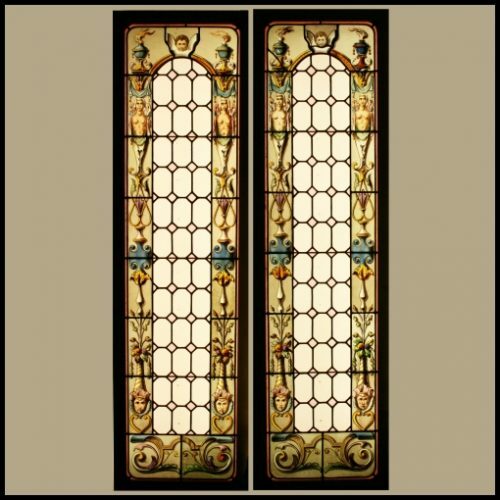 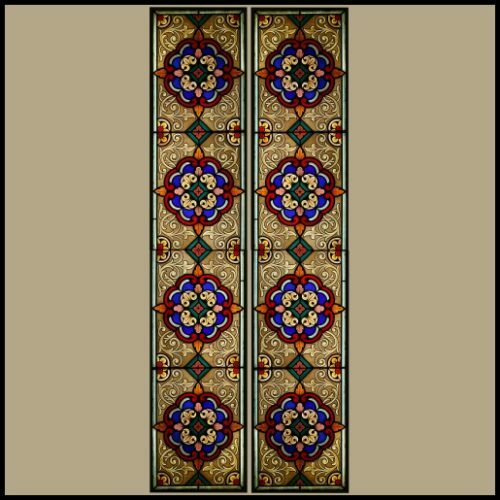 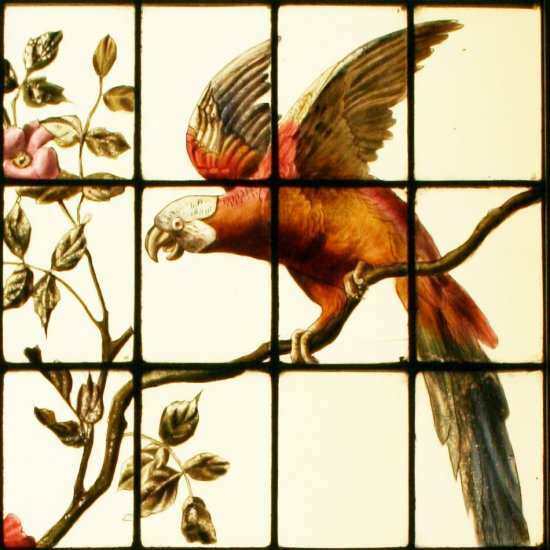 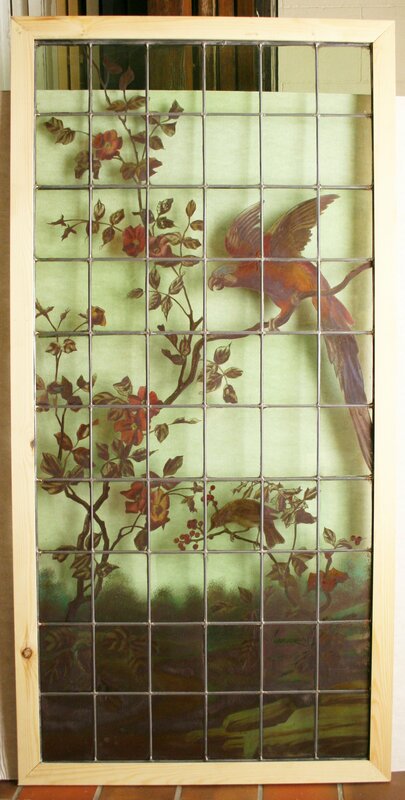 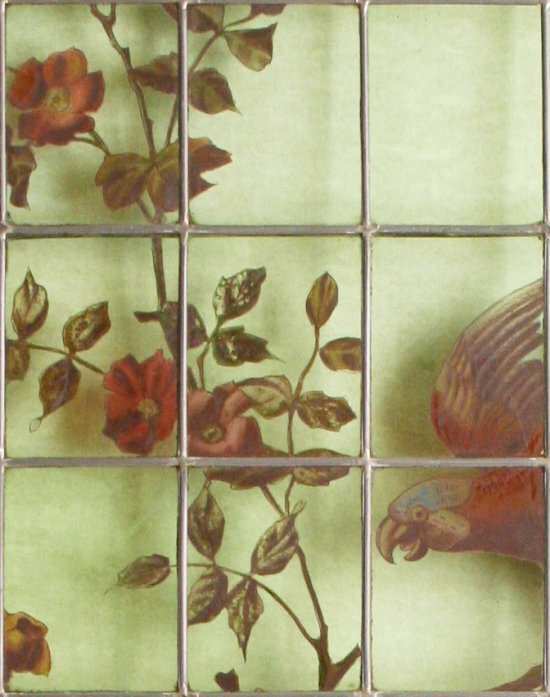 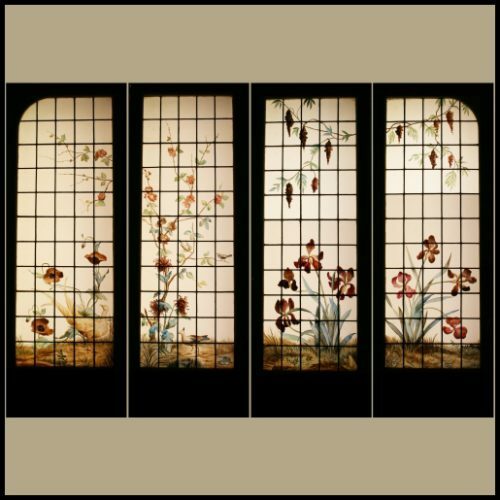 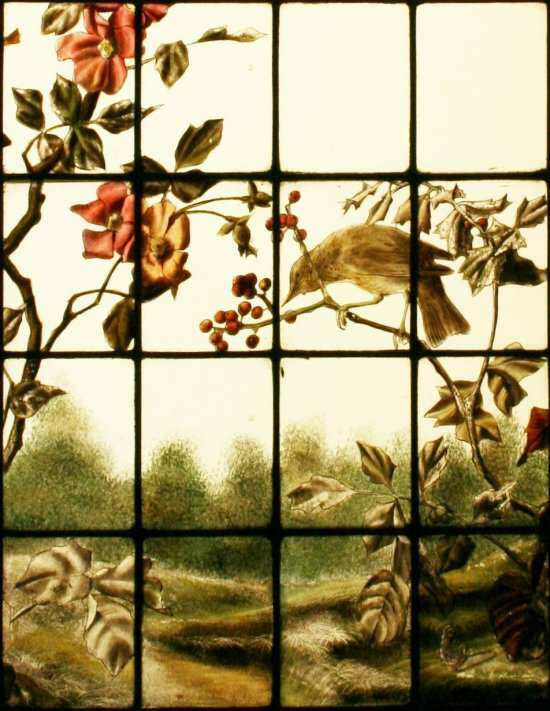 Large French leaded window c1900, hand painted on green, slightly tinted, clear glass depicting a parrot, roses and black bird pecking holly berries. 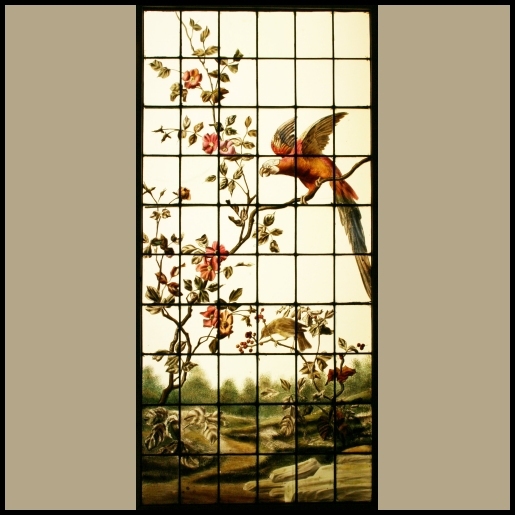 Beautifully painted with enamel and silver stain paints and in excellent condition. 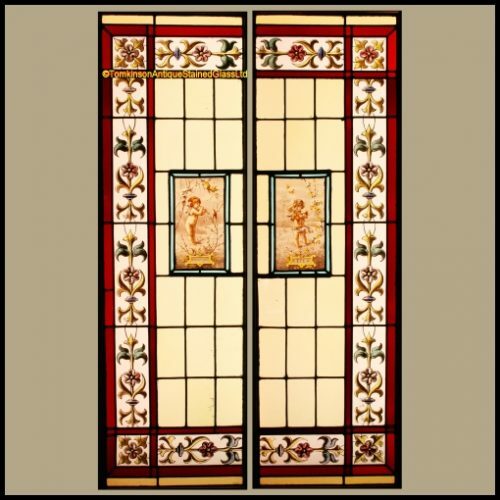 Ideal for use in an Orangery or conservatory.